Valentine’s Day is right around the corner and it has us thinking about engagement rings! Traditionally, you would never hear the word “engagement ring” without “diamond”. However, many brides-to-be are opting out of diamonds and choosing other gemstones when it comes to their engagement rings. Whatever your reason for opting out of diamonds, whether cost, morale or individualized style, we’re counting down our top five favorite diamond-alternative engagement rings to make your Valentine’s Day sparkle! Moissanite engagement rings are the perfect alternative for the bride who wants a traditional look without the price tag. A moissanite ring is a tenth of the price of a diamond ring, not to mention that moissanites are eco friendly metals and meet the very highest environmental standards! This is the perfect engagement ring alternative for the feminine bride who wants something unique. Morganite is a rare, light pink colored stone and the symbolism behind it claims that the gemstone helps inspire and maintain love. Perfect for a romantic Valentine's Day engagement! Looking for your "something blue"? These stunning blue gems symbolize honesty and wisdom and are perfect for the classic bride that still wants to put a sin on tradition. Ruby engagement rings are perfect for the vintage bride. These red gems are timeless beauties and are the epitome of romance! 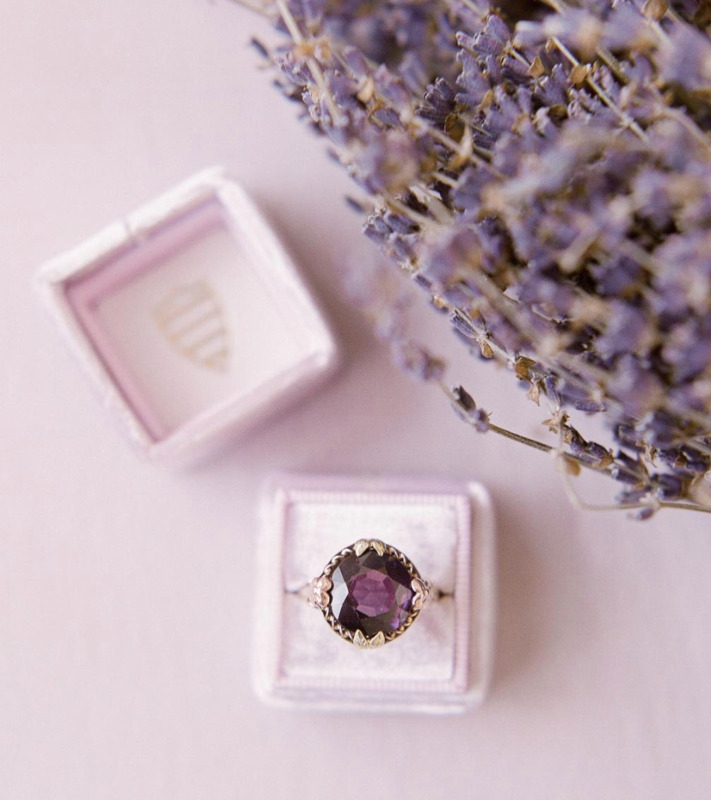 Amethyst engagement rings are versatile and make a statement for the stylish bride. Purple is the color of humility and wisdom, making it an elegant option for a bride-to-be! Although rose gold engagement rings have been trending in the wedding industry for the past few years, the true rise of rose gold was really in the 1920's. You can’t go wrong with the classic, prong-set, crystal-clear diamond solitaire, but many of today’s brides seek a ring with distinctive personality.